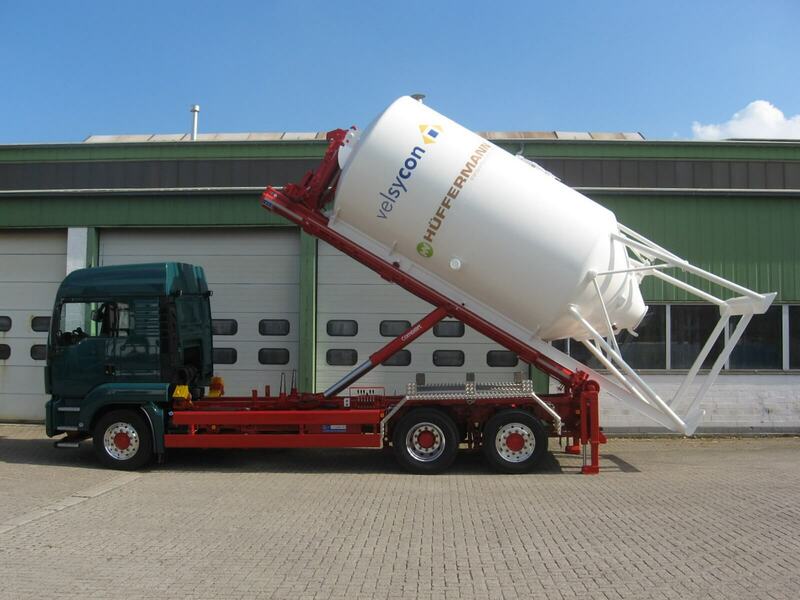 The unique velsycon COMBILIFT-system is able to move container in three different directions. 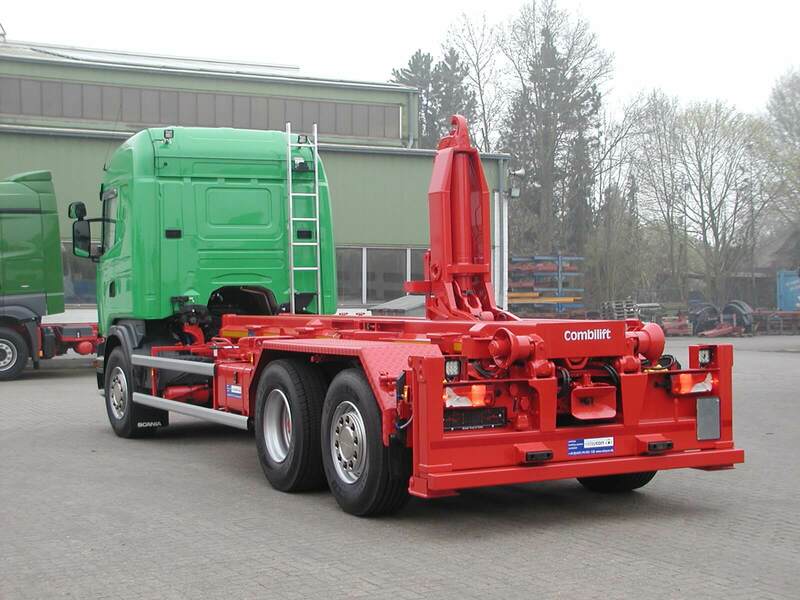 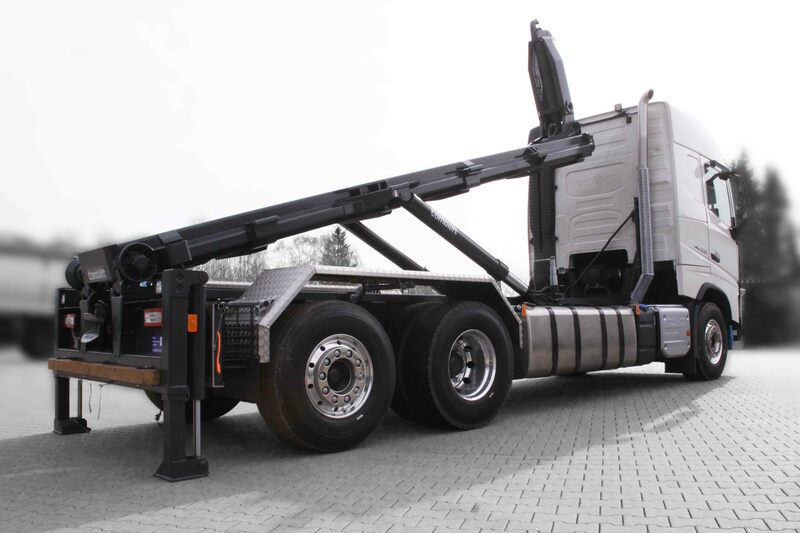 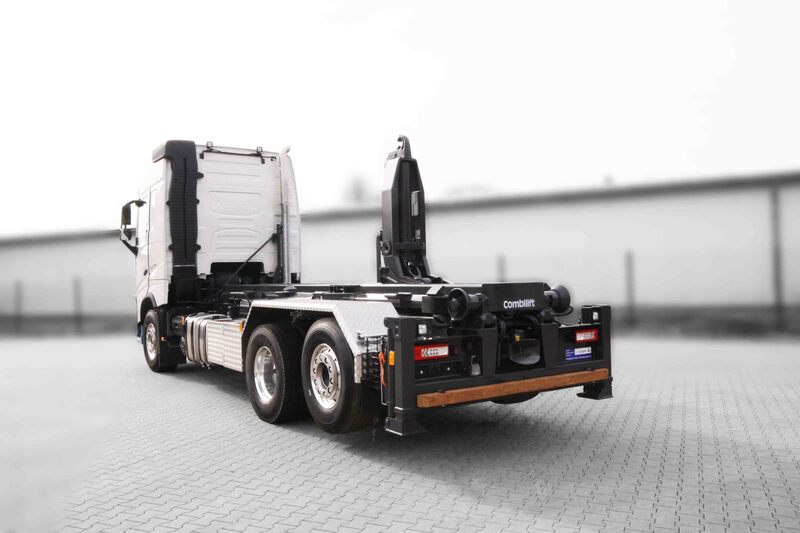 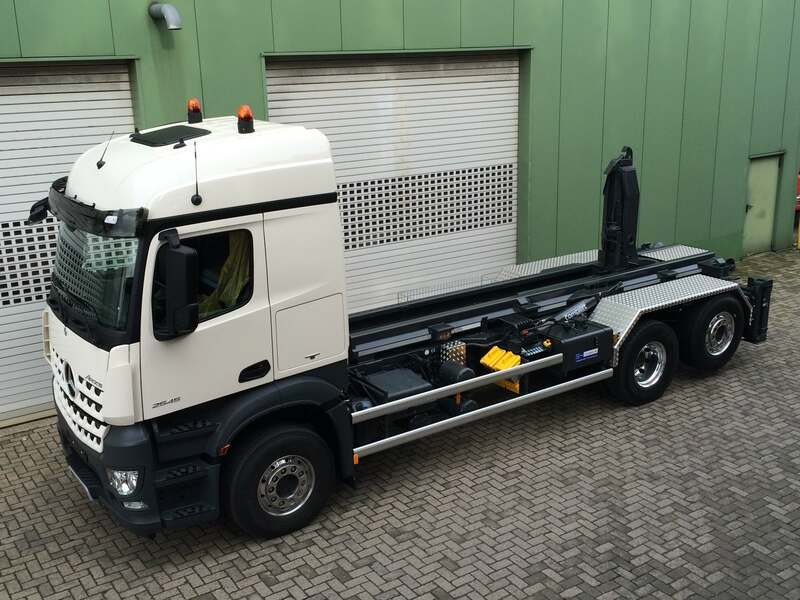 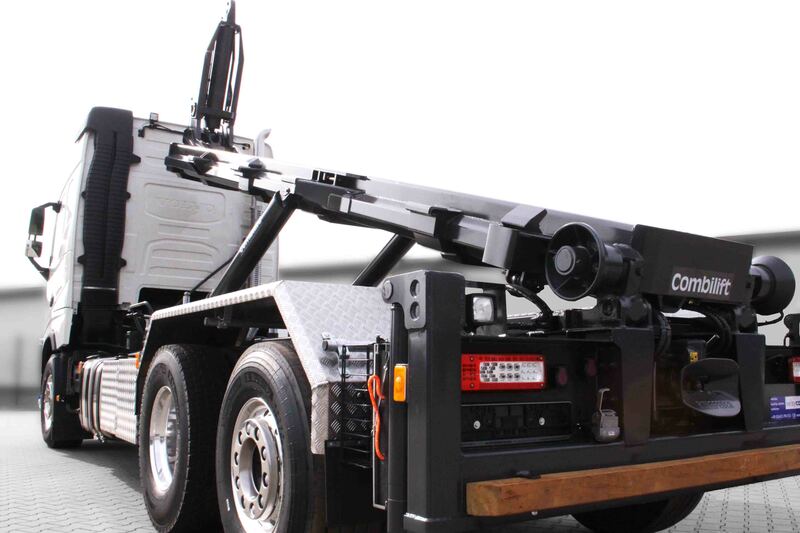 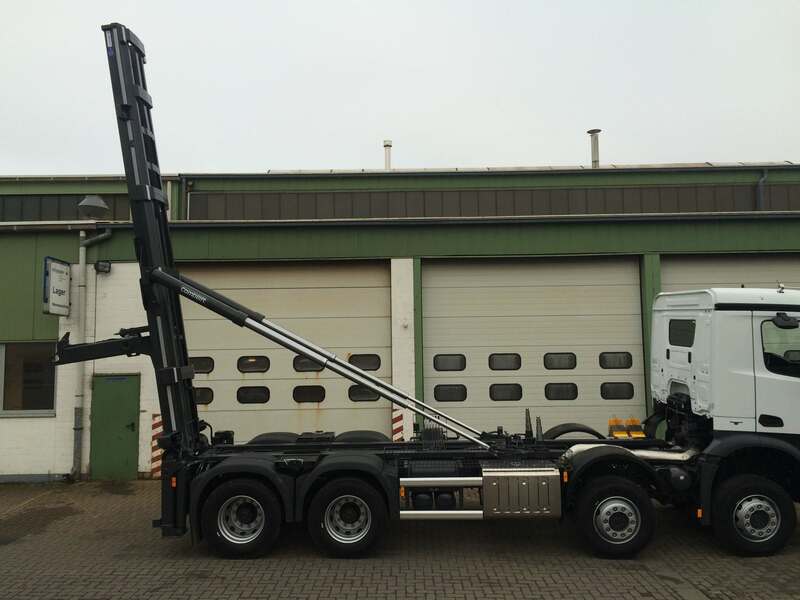 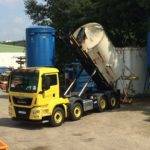 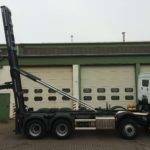 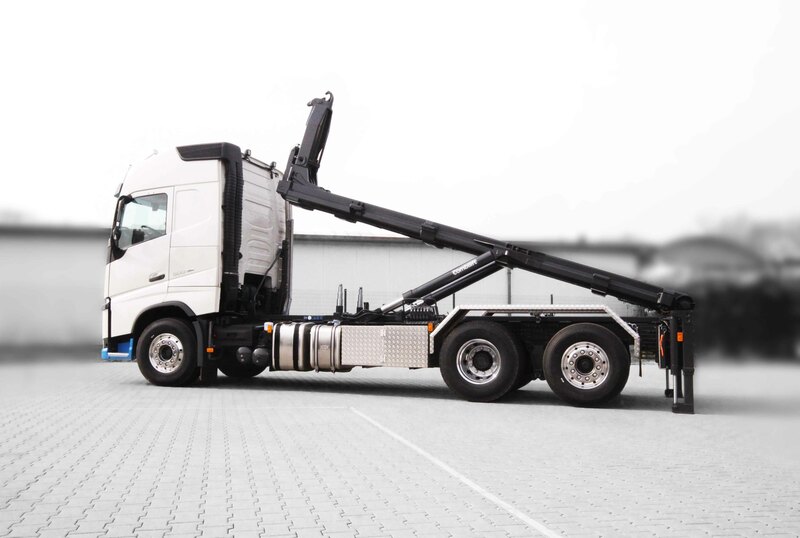 The COMBILIFT, type CL 26.72, for three-axle chassis, is universally applicable. 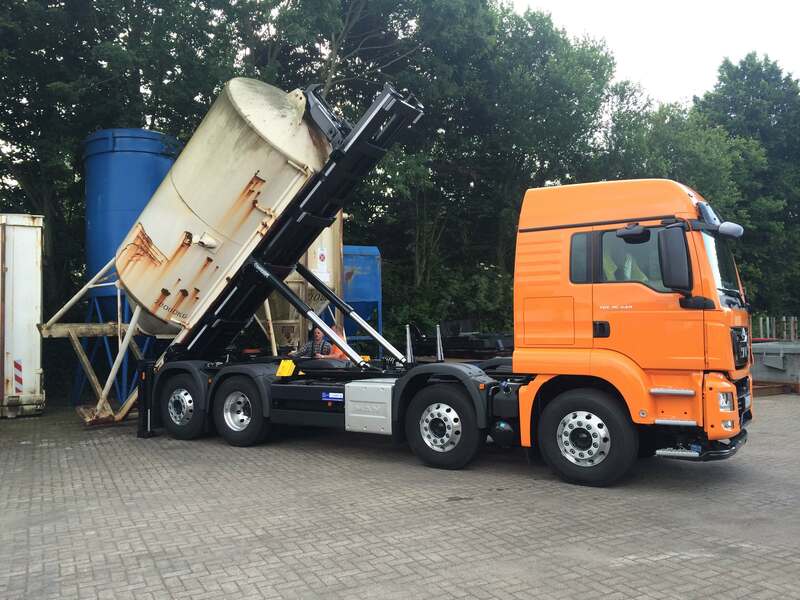 It places mobile silos of 10 to 26 m³ and transports, as a classical hook roller tipper, mobile containers in accordance with DIN 30722. 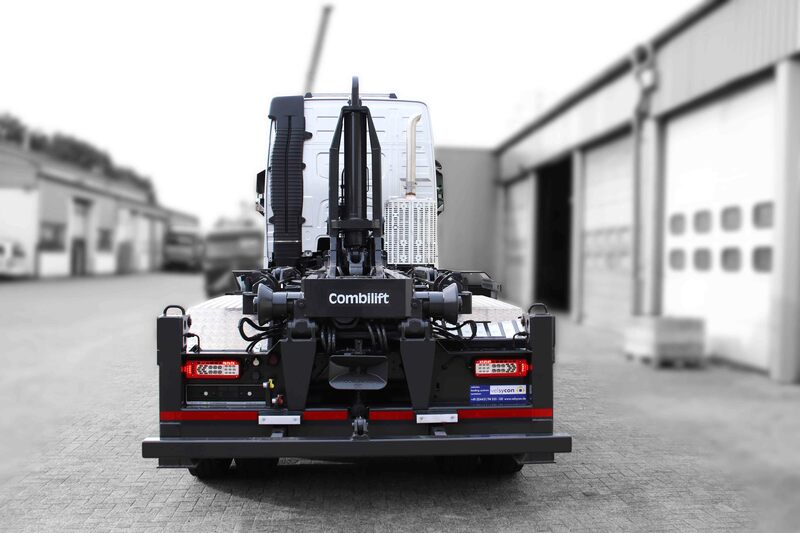 The COMBILIFT Type CL 35.72, for four-axle chassis is a real power pack. 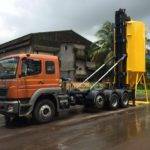 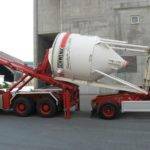 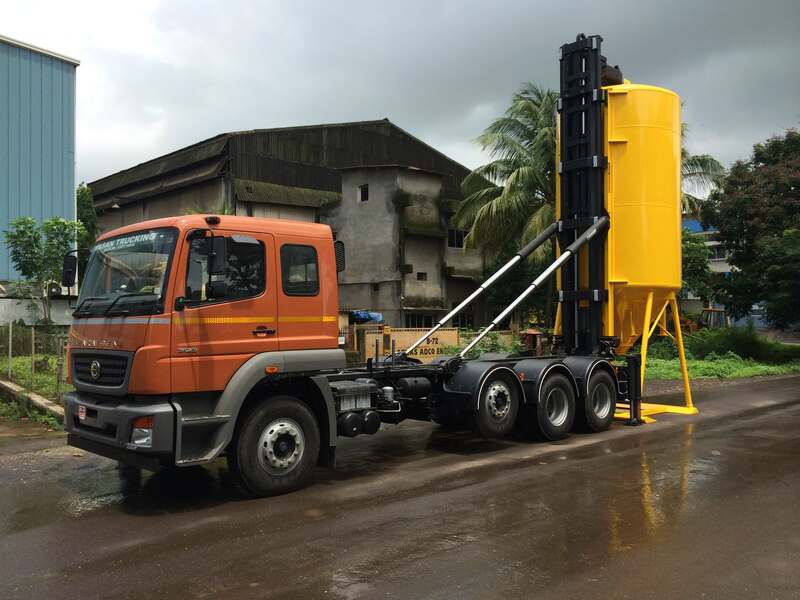 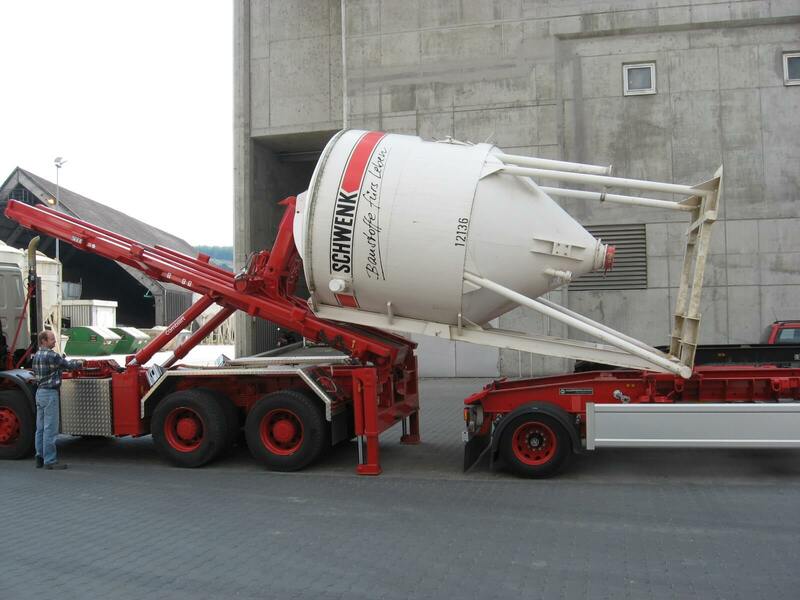 It is used as a silo placer and hook roller tipper - especially in the construction industry. 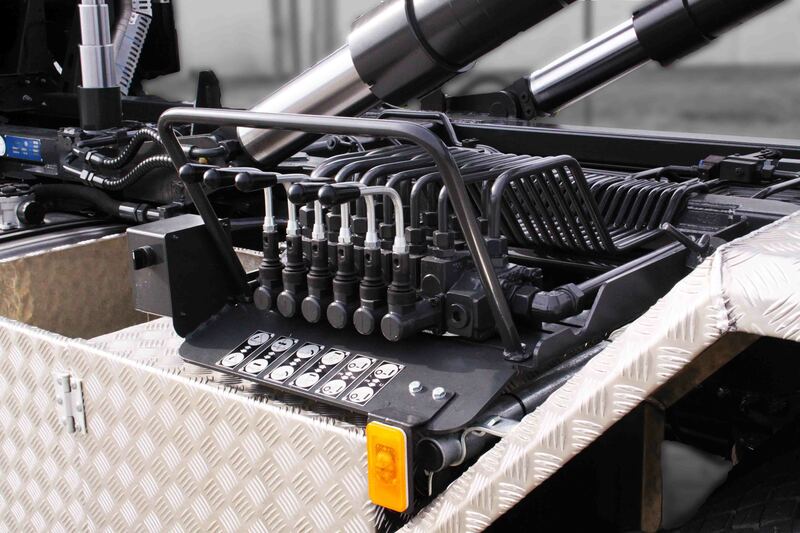 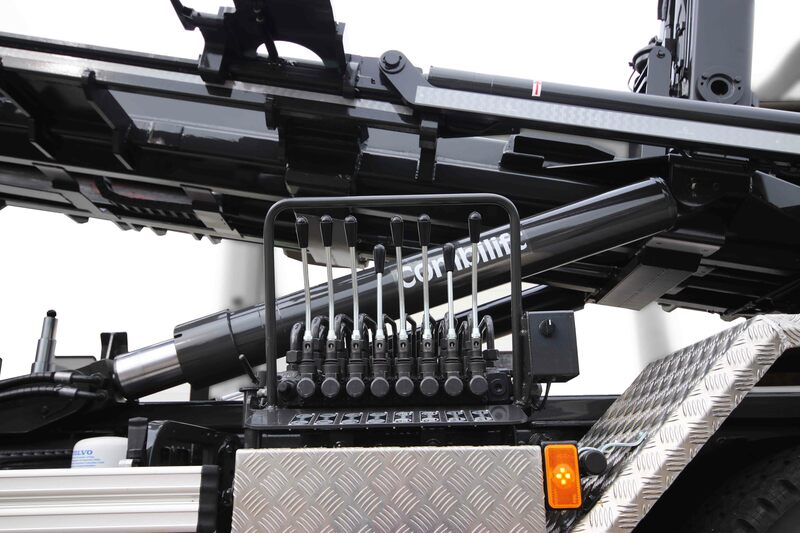 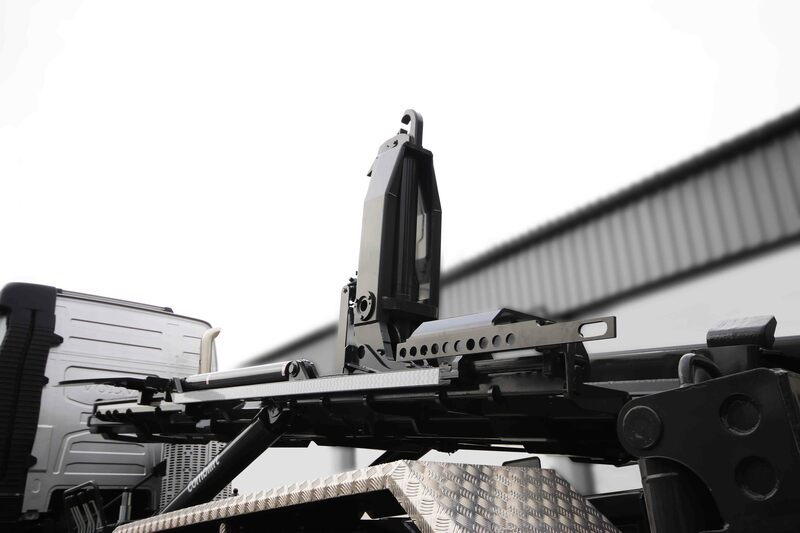 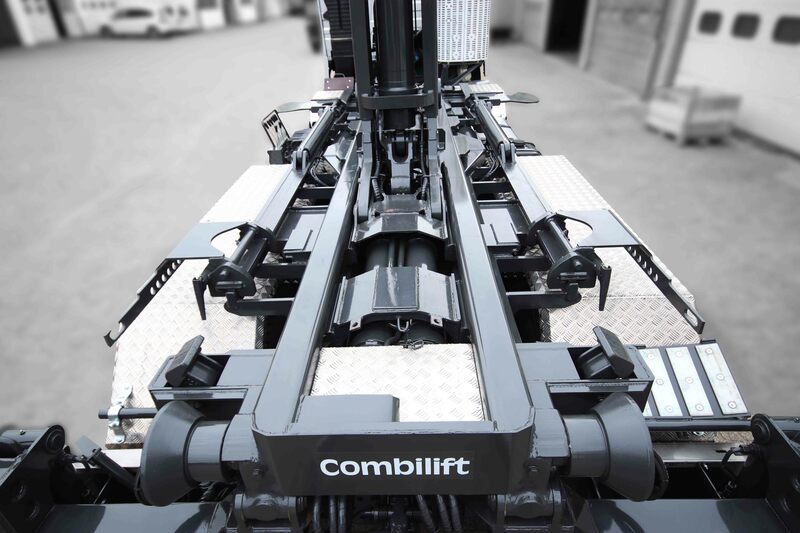 Manoeuvrability, a high payload and optimum efficiency make this COMBILIFT so successful. 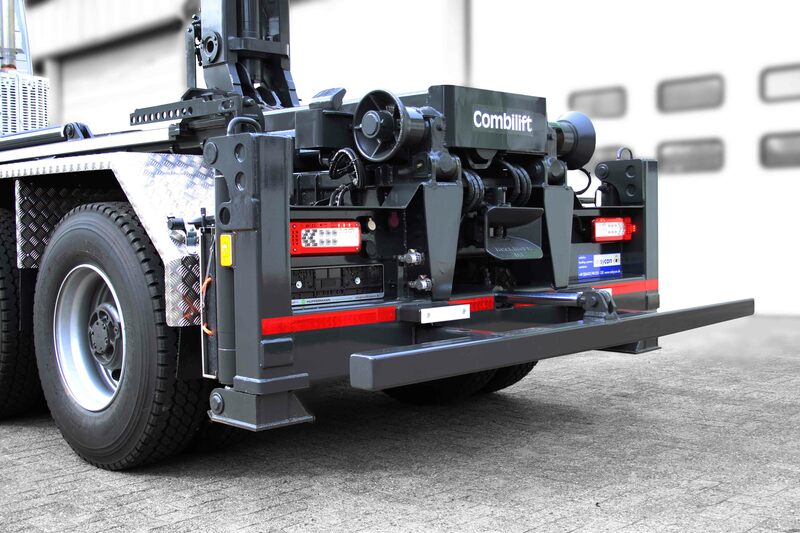 Individually or as a trailer unit the COMBILIFT system is unbeatable in providing building sites or other consumers with dry bulk material as well as for the various tasks in the disposal industry. 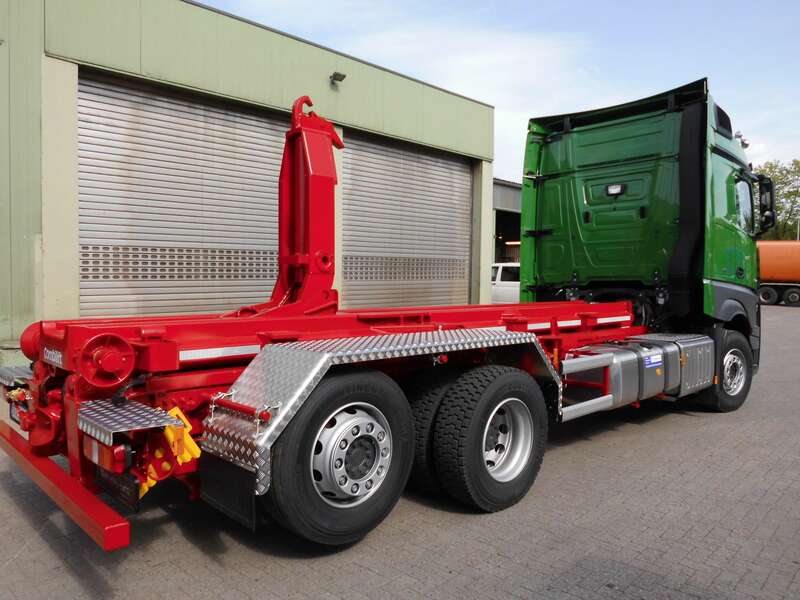 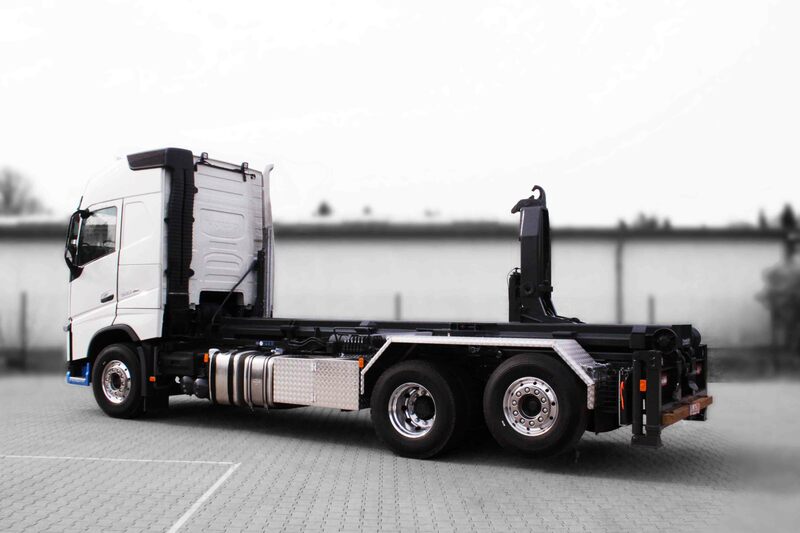 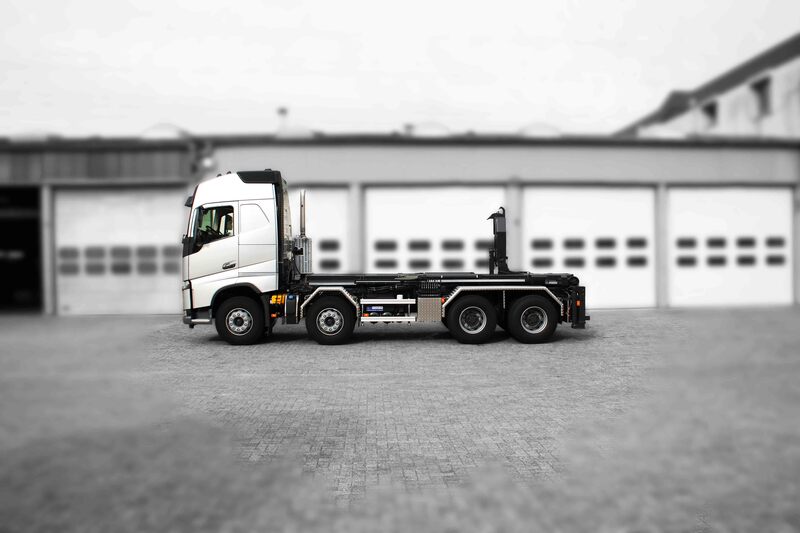 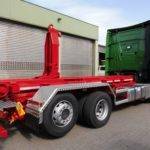 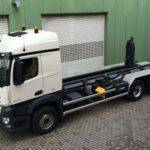 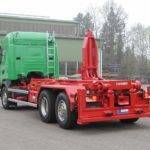 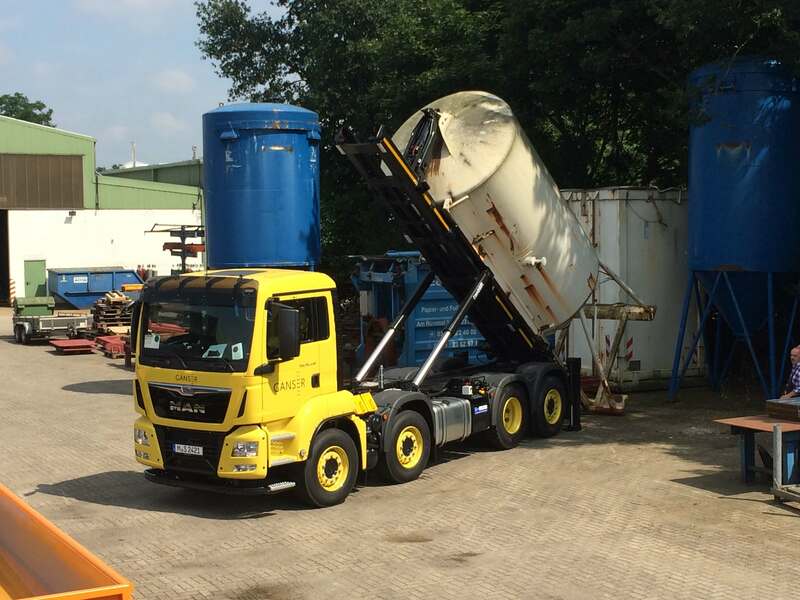 Trailers can be loaded fast and simply by all types of the COMBILIFT system, thus significantly improving the transport capacity, flexibility and efficiency. 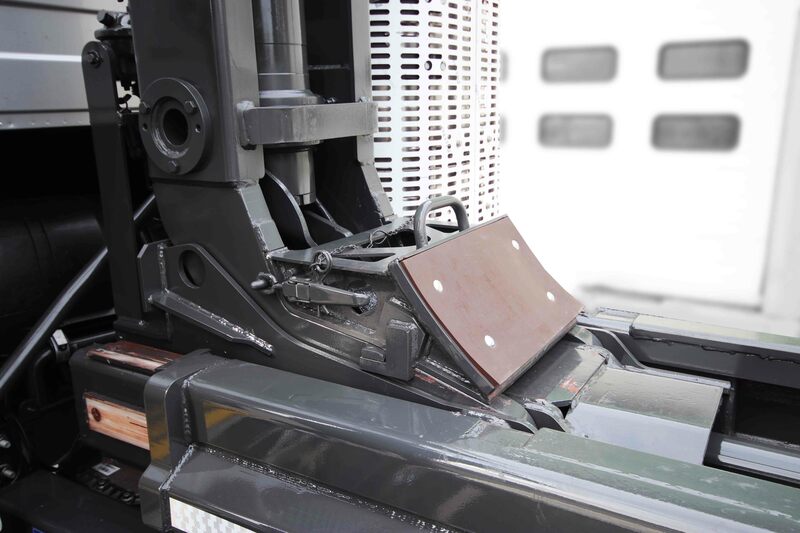 Using the same horizontal movement, railway wagons are also loaded and unloaded by using a twist frame.